I've not been able to take many medicines during my pregnancy. Allergies, however, don't care if I'm pregnant or not. They just want to make my life miserable! I've tried several less aggressive approaches to keeping my allergies under control: nasal rinses, warm showers, and regular dusting. 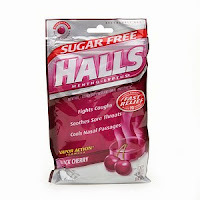 I've also had the chance to try some of the Sugar Free Halls Cough Drops as a way to soothe and relieve some of my symptoms when cold medicine couldn't be taken. I'll be glad when I can safely take some of my standby allergy medicines, but I'll probably keep a pack or two of the Halls for when my allergies don't warrant getting loopy on allergy medicine or for when I just need a breather between doses. 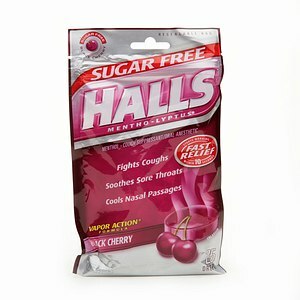 You can learn about the entire Halls line at their website! I wrote this review while participating in a blog tour campaign by Mom Central on behalf of Halls and received products necessary to facilitate my candid review. In addition, I received a gift certificate to thank me for taking the time to participate.